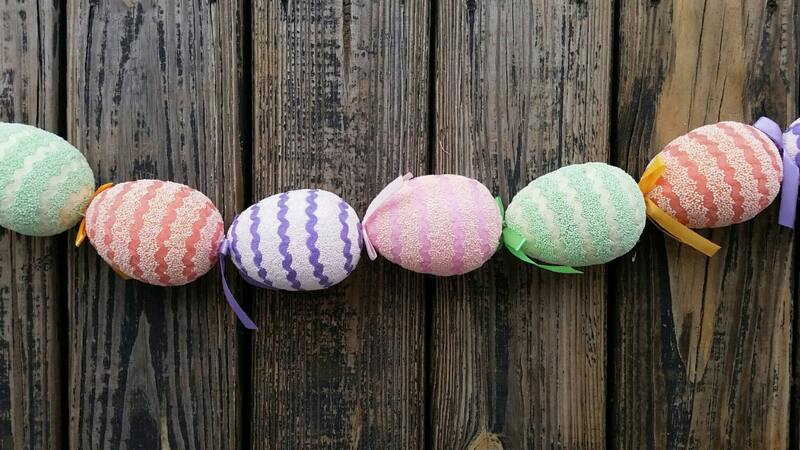 I love Easter. It marks that time of year when the world bursts forth with color and we greet spring. 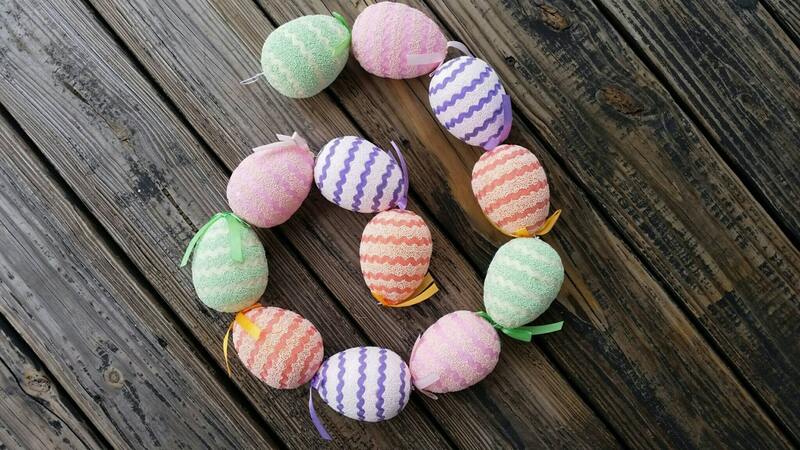 This decorative Easter garland brings all those spring colors into your home. 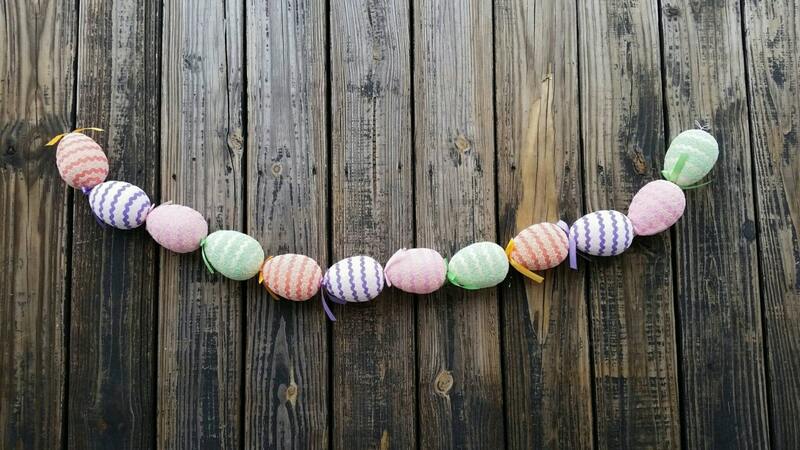 You will receive one 48 inch garland filled with twelve 4 inch Easter eggs. 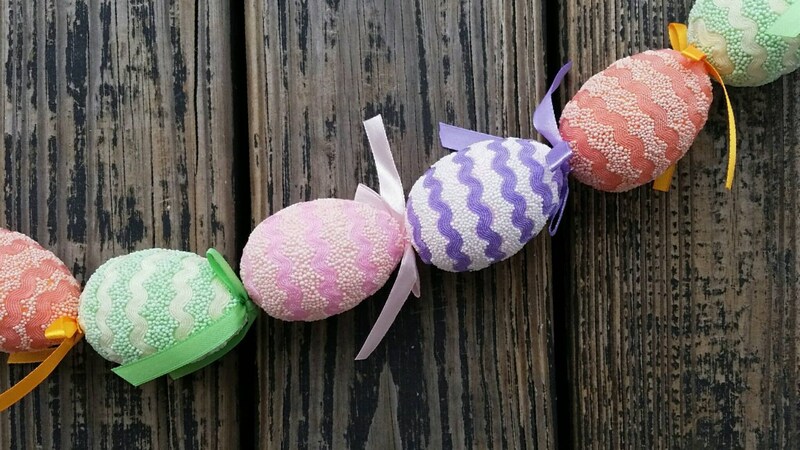 Add the garland to your Easter Egg Tree or drape over your door. Hang this fun piece from your mantel or above a window. If you are feeling adventuresome make a wreath or swag incorporating this fun and festive garland. 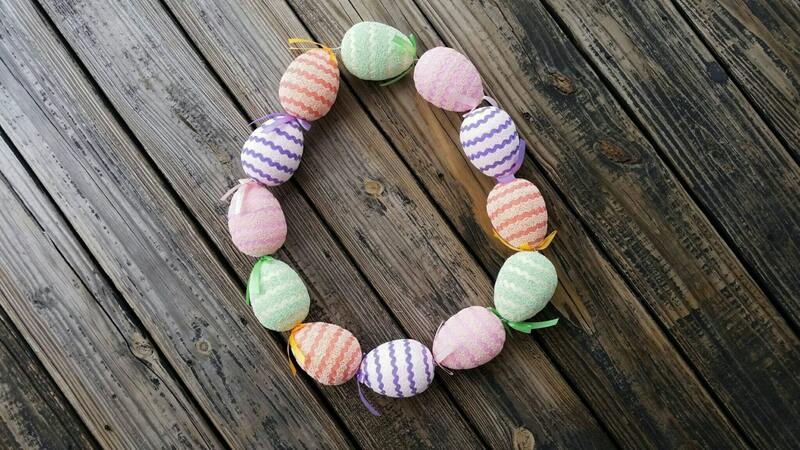 You will receive one 48 inch garland which has twelve 4 inch artificial, stryfoam eggs.